Local Spotlight: Campbell Gardens Candied Pickles – Wichita By E.B. I first learned about Campbell Gardens at the Kansas State Fair last year. I fell in love with their candied jalapeños and highly recommend anybody purchasing them from their website. Campbell Gardens is based out of Centerville, KS. They have appeared at random farmer’s market around the state. You’ll have to follow them on Facebook to see if they are ever near you. There are also select jars of Campbell Gardens products at Westlake Ace Hardware on Central here in town. 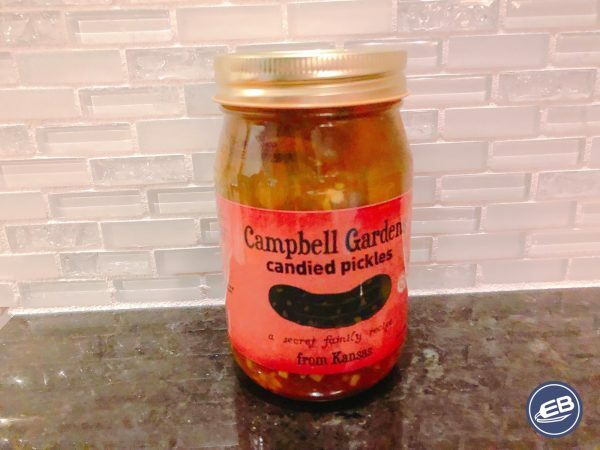 Campbell Gardens recently put out a new product this year: candied pickles. I got a couple jars and fell in love immediately. I saved the last jar for my family Thanksgiving lunch where I introduced them to everyone. 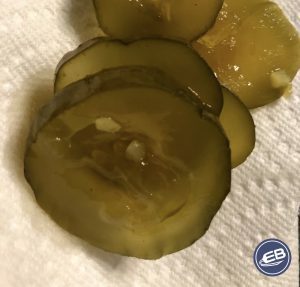 All the adults and kids tried a bunch of pickles and were surprised by it. They were garlicky, sweet and spicy in different stages. Many of us in the family are big pickle fans. We are a hard group to impress at times and Campbell Gardens blew us away. This should have been no surprise though given how much we loved their candied jalapeños. The jars run $9 a piece and were a great added treat for our family gathering. Whether it’s the candied pickles or the candied jalapeños, you can’t go wrong with either option. To nominate your product to be considered for a review, please e-mail us with your information. We are always open to suggestions.